Wikipedia defines collaboration as: working together to achieve a goal. 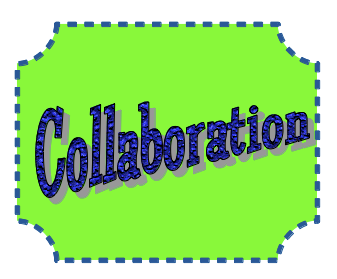 As teachers, we know it when we see it, when it comes to our students, but what does collaboration look like when you are working with the teachers on your grade level? There are different models that work with different teams because teams, like classes, are made up of people with different personalities, experiences, and skills. Another helpful thing to discuss with your team members is defining each person’s thinking style when making a decision. As a team of teachers, you make many decisions together in a school year. Some examples are: “Where are we going on our field trip?” “How are we going to split up our duties?” “Who is responsible for ordering the supplies?” Edward de Bono, in his book, 6 Thinking Hats, created a tool that is used to look at decisions from different perspectives. The red hat thinker looks at problems using intuition, gut reaction, or emotions. The black hat thinker is your “Devil’s advocate”. This person looks at all the bad points of a decision. This person is an important member of the team because he or she will point out all of the weak points in a plan so you can try to fix them ahead of time. As a team, you need to discuss what collaboration will look like on your team. Remember there are different models. What may work for the grade level above you, may not work with your team. How will you divide up the duties and responsibilities? How will you communicate so everyone is on the same page? With the school year soon coming to a close, this is a great time to do some reflecting about your team. What worked well? What needs some improvement? Remember a cohesive, effective team is always evolving. That is the thing that we love best about blogging-the teacher community! We only have one other teacher at our grade level and don't really plan together (there's a long story there for another day 😉 and we miss that collaboration. Now with all you fabulous bloggers, we get to share ideas and feel like we're working together to improve our teaching. Thank you! Collaboration is a wonderful thing when it works. Can be tricky at times too. We all did a quick personality trait test at our school to see where we all were. Helped us to understand a bit better why some people made the decisions that they did when we saw what personality trait they were (big picture vs. detail person for example). It has been a long time since I saw any info on the 'thinking hats'. They really do work if you stick with them!!! Kudos, Michelle! !